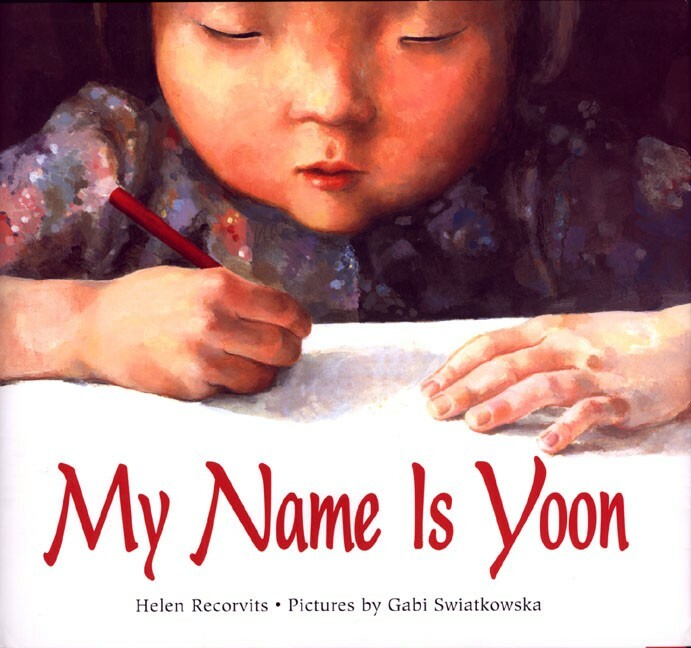 Yoon's name means Shining Wisdom, and when she writes it in Korean, it looks happy, like dancing figures. But her father tells her that she must learn to write it in English. In English, all the lines and circles stand alone, which is just how Yoon feels in the United States. Yoon isn't sure that she wants to be YOON. At her new school, she tries out different names -- maybe CAT or BIRD. Maybe CUPCAKE! Helen Recorvits's spare and inspiring story about a little girl finding her place in a new country is given luminous pictures filled with surprising vistas and dream scapes by Gabi Swiatkowska.